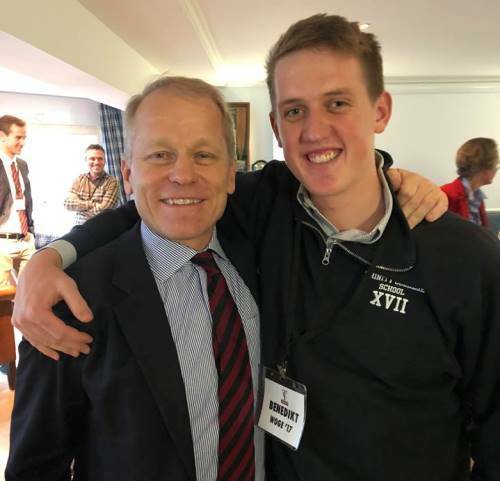 Thanks to organizer Johannes Karg ’01, Trinity College School hosted its first ever reception in Germany for alumni and parents. The event took place at the Boathouse in the Frankfurt Rowing Club, the afternoon of Sunday, October 28th, with a great group of 11 alumni and six current parents in attendance. Headmaster Stuart Grainger gave a very entertaining presentation, which was enjoyed by all. As part of the reception, the headmaster presented Johanna Jostens ’18 with her alumni tie as Johanna was unable to be at Speech Day earlier this year. The School looks forward to hosting further events in Germany in the future! View the Germany Alumni Reception ’18 gallery for more photos.